Let’s take a look at what’s new on Netflix this month. Hard to pick a favorite because I want to watch ALL of these right now! I’m really excited to see “Fringe” season 5, though must admit I need to catch up on season 4, as well. I’m also getting into more crime drama shows, so might have to check out “CSI: NY,” as well as “Scandal,” with all the buzz surrounding that show. Should I recap it this year? I’m thinking yes. And if you haven’t checked out “Zodiac,” David Fincher’s 2007 film starring Jake Gyllenhaal as a San Francisco cartoonist who becomes an amateur detective obsessed with tracking down the Zodiac killer, you must watch this. It’s one of my favorite crime thrillers ever. Based on a true story, it also stars Mark Ruffalo, Anthony Edwards and Robert Downey, Jr.
One other Netflix note: They’re launching a new “Profiles” option, where you can create separate Netflix profiles for each person in your household. Very cool. And, Netflix’s new original series “Derek” will premiere Sept. 12. Ricky Gervais created and stars in this comedy-drama about a loyal nursing home caretaker who sees only the good in his quirky coworkers as they struggle against prejudice and shrinking budgets to care for their elderly residents. Also, if you’re in the Netherlands, Netflix is headed your way before the end of 2013! Alphas: Season 2 (2012) – Season 1 avail now. A team of individuals gifted with extraordinary neurological abilities is tasked with solving a series of high-profile crimes. Among them are an autistic man whose mind works as fast as a computer and an FBI agent with super strength. Fringe: Season 5 (2012) – Seasons 1-4 avail now. As part of Fringe Division, eager young FBI agent Olivia Dunham uses experimental science to unravel the layers of mystery surrounding a series of dangerous — and escalating — paranormal events called the Pattern. Love this show. Breaking Bad: Season 5 (2012) – The first 8 episodes! – Seasons 1-4 avail now. Emmy winner Bryan Cranston stars as Walter White, a high school science teacher who learns that he has terminal lung cancer and teams with a former student to manufacture and sell high-quality crystal meth to secure his family’s future. Check out recaps and news here. Burn Notice: Season 6 (2012) – Seasons 1-5 avail now. After inexplicably being blacklisted by his government handlers and having all of his assets frozen, quick-thinking and resourceful spy Michael Westen (Jeffrey Donovan) focuses on finding who burned him and helping ordinary people with big problems. This thrilling Miami-based action series pairs the intrepid hero with several allies, including his ex-IRA ex-girlfriend (Gabrielle Anwar) and covert operative best buddy (Bruce Campbell). Revolution: Season 1 (2012). Fifteen years after electricity stopped working and the world was sent back into the dark ages — with small agrarian communities of families working together — three companions go on a quest to uncover the truth about the mysterious blackout. Wilfred: Season 2 (2012) – Season 1 avail now. Adapted from the Australian TV series, this unconventional comedy follows the surreal experiences of Ryan, a deeply depressed man who becomes convinced that his neighbor’s dog Wilfred is actually a man wearing a costume. CSI: NY: Season 9 (2012) – Seasons 1-8 avail now. Science in the service of crime fighting comes to the Big Apple in the second spinoff of the “CSI” franchise. Gary Sinise stars as workaholic detective Mac Taylor, who guides an elite squad of forensics investigators determined to nab the criminals. 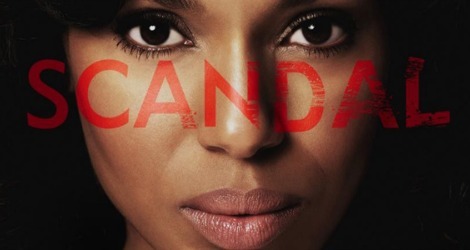 Scandal: Season 2 (2012) – Season 1 avail now. Olivia Pope leads a team of Washington, D.C., lawyers who specialize in making scandals disappear. As they secretly handle crises at the highest levels of government, the dysfunctional team must also cope with problems closer to home. Revenge: Season 2 (2012) – Season 1 avail now. Inspired by Alexandre Dumas’ The Count of Monte Cristo, this modern-day drama follows a lovely young woman who moves to the Hamptons and charms the pants off her new neighbors — while plotting their downfall for sins committed against her family. Once Upon a Time: Season 2 (2012) – Season 1 avail now. Jennifer Morrison, Ginnifer Goodwin and Robert Carlyle star in this fantastical series that follows the travails of a young woman who is drawn to a small Maine town and discovers that it’s filled with the mystical elements of the fairy tale world. Get ready for some of your favorite Fall TV shows before the start of their new season! All are available to watch instantly. Grey’s Anatomy: Seasons 1-8. Ellen Pompeo stars in this Emmy-winning medical drama as Dr. Meredith Grey, a young surgical intern (and eventual resident) who’s caught up in a swirl of personal and professional passions with fellow doctors at Seattle Grace Hospital. How I Met Your Mother: Seasons 1-7. This sitcom details desperate bachelor Ted’s epic search for his soul mate, told through flashbacks as an adult Ted recounts to his kids how he met their mom. As Ted bounces from one red herring to another, his best friends help keep him grounded. Parenthood: Seasons 1-3. Four grown siblings juggle parenthood, relationships, careers and more as they cope with life’s ups and downs in this family drama set in Berkeley, California. Meanwhile, their parents face an unraveling marriage and their own parenting challenges. Parks and Recreation: Seasons 1-4. This droll comedy focuses on Leslie Knope, a public employee with the Parks and Recreation department in rural Pawnee, Indiana. Although Leslie is full of energy and good ideas for community improvements, she finds herself bogged down by bureaucracy. Greenberg (2012) – Comedy. Ben Stiller, Greta Gerwig, Rhys Ifans, Jennifer Jason Leigh, Brie Larson, Juno Temple, Chris Messina. At a crossroads in his life, New Yorker Roger Greenberg takes time to figure things out and travels to Los Angeles, where he house-sits for his brother and forges an unlikely bond with his sibling’s assistant, Florence Marr. Dredd (2012) – Action & Adventure. Karl Urban, Olivia Thirlby, Lena Headey, Wood Harris, Langley Kirkwood, Junior Singo, Luke Tyler. In the future, catastrophic wars have transformed Earth into a barren wasteland with the remaining population crowded into megacities, where all-powerful cops — including the ultraviolent Judge Dredd — are on the hunt for drug-dealing terrorists. The Possession (2012) – Horror. Jeffrey Dean Morgan, Kyra Sedgwick, Natasha Calis, Madison Davenport, Matisyahu, Grant Show. After purchasing a curious old box full of mysterious relics, a young girl unwittingly unleashes the evil spirit residing within. Can the antique’s new owner and her parents break the grip the demonic force has on their family? Next article#Sweepstakes! Back to School Technology: It’s a Brave New Cloud World! Breaking bad was SO awesome! I enjoyed it very much. Sad that it ended. There is going to be a spinoff this year though! With Saul goodman. Can’t wait. Nice article. Thanks, Tim! Yeah, I’m SO looking forward to seeing what they do with Saul Goodman. Can’t wait. I love me some Olivia POPE! !…Scandal is the thing! She made me love politics and its intrigues and she made me understadn the real nature of the power women have over men! That lady is good!